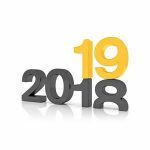 Joshua Greaves & Sons Ltd were founded in 1919 to undertake general engineering work, but soon established specialist manufacturing capabilities which included Whitehead steam governors, bevel gearboxes and in-line shafting. Their first industrial mixer was manufactured in 1922 for Midland Vinegar of the UK. The company soon became recognised as Greaves Industrial Mixers, and as a leading industrial fluid mixer manufacturer within the UK they boast many prestigious clients in the leading fields of process engineering, including food, pharmaceuticals, breweries, soft drinks, paints, inks, resins, water and effluent treatments. 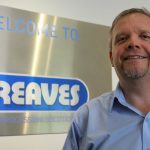 Located in Lancashire, UK, Greaves Industrial Mixers have a modern 2000 square metre design, test and manufacturing facility and use the latest computer design and manufacturing techniques to optimise both efficiency and performance of their products. These include rotor/stator, dispersers, propellers, turbines, as well as anchor paddles with combined scrapers. 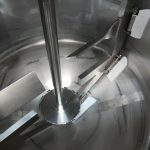 All models are available from pilot scale for research purposes and Greaves Industrial Mixers have their own pilot facility which is used to test client’s products and optimise the appropriate method and type of mixer for the given applications. All Greaves Industrial Mixers are available with flameproof or ATEX approved motors as well as IP55 enclosures. Many can be supplied with shaft sealing systems for a wide range of pressure and temperature applications.